The iPad is more fashionable than ever. The educational event that was held last week in Chicago, revealed a number of details, such as the 200 GB free iCloud that students will now have, and the new iPad 2018, which is also compatible with the Apple Pencil . 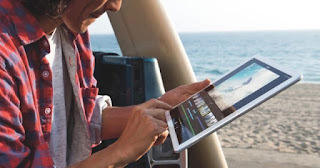 Apple has given a new twist to the most desired tablet in the market, after the overwhelming success of the 2017 model, cheap and powerful features. This new model has the usual screen size, 9.7 inches, Touch ID and the ingenious virtue of being able to be used with the Pencil , which until now was only possible in Pro models. And it would not make sense that such an educational element is not compatible with this accessory! And on his prolific YouTube channel, Apple has shared a couple of didactic videos referring to the iPad. Both have a duration of approximately one minute and do not show two possibilities or tricks easy to use on the tablet. The first one is to write in a screenshot thanks to the Apple Pencil . What do you not know how to do? Watch it to not lose detail. The second one is a trick we can use on any iPad that moves iOS 11, and is one of those that we use daily. It involves using two applications at once, in the video are those of Safari and the iMessage messaging application. Working with two apps at once increases productivity dramatically. And as you probably need an iPad in your studies or work , we have prepared a selection of a couple of iPad models 2017 and two of the iPad Pro , all at spectacular prices and with the guarantee of a web of complete confidence.